Enter the arena, says Kabir and combat with the senses. 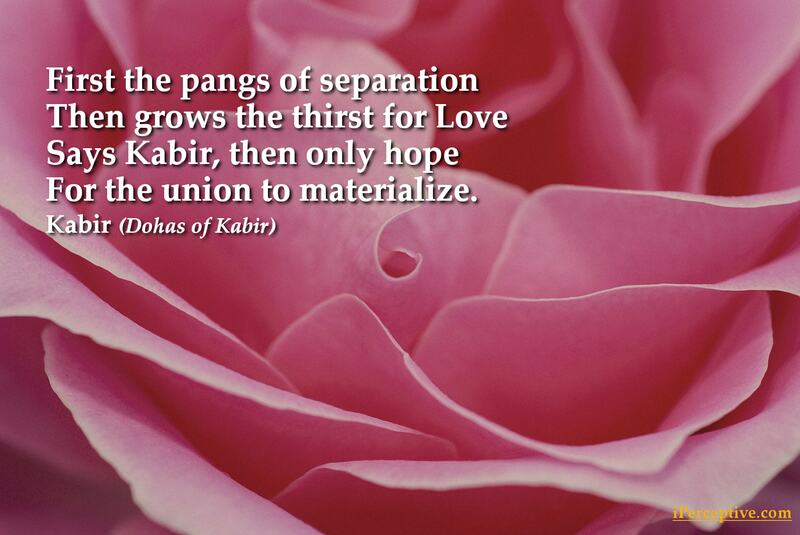 To Thee Thou hast drawn my love, O Fakir... Kabîr says, "Thou hast united Thy heart to my heart, O Fakir!" Give up the beads of rosary and rotate the beads of mind. Within the Supreme Brahma, the worlds are being told like beads: Look upon that rosary with the eyes of wisdom. Departing with a crown of material wealth, none has crossed the gate. Who has relinquished all pride. O servant, where dost thou seek Me? Lo! I am beside thee. I am neither in temple nor in mosque: I am neither in Kaaba nor in Kailash: Neither am I in rites and ceremonies, nor in Yoga and renunciation. If thou art a true seeker, thou shalt at once see Me: thou shalt meet Me in a moment of time. WHEN He Himself reveals Himself, Brahma brings into manifestation That which can never be seen. As the seed is in the plant, as the shade is in the tree, as the void is in the sky, as infinite forms are in the void-- So from beyond the Infinite, the Infinite comes; and from the Infinite the finite extends. And grass will grow thereon. 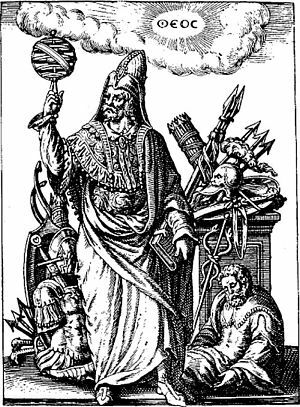 Kabîr says: "It is the Spirit of the quest which helps; I am the slave of this Spirit of the quest." My body & my mind are in depression because you are not with me. How much I love you and want you in my house! Because I know that far inside us we have never met. Then what is this love of mine? I am restless indoors & outdoors. The bride wants her lover as much as a thirsty man wants water. to the Guest from me? 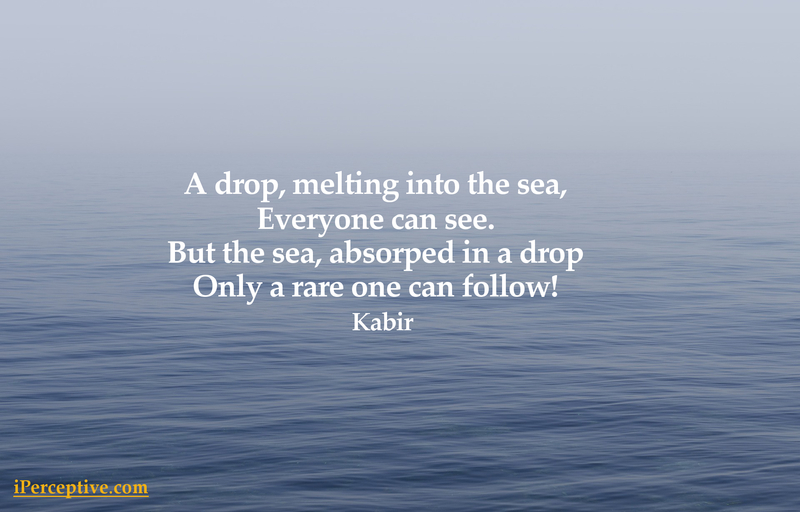 How restless Kabir is all the time! How much he wants to see the Guest! 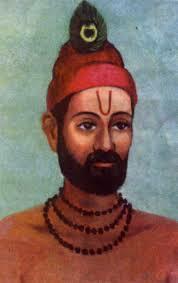 Kabir was a influential Indian mystic poet and weaver. He is best known for his poetry which is mainly about the process of transcending the ego and of the subsequent union with the divine, or the Beloved as is called in the Sufi tradition.